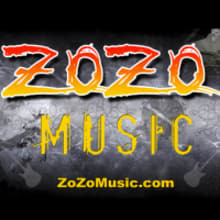 ZoZo Music is your premier source for musical instruments and accessories! We offer a wide variety of products to suit the needs of every musician, from the first time musical novice to the seasoned expert. ZoZo Music was established in 2001 and we've been going strong ever since. We attribute this to our whole hearted commitment to outstanding customer service and product support as well as an ever-growing assortment of fine musical instruments and accessories. Our customer service representatives are standing by and eager to help with any questions or concerns you may have. Our number one priority is to make sure that each and every one of our customers is a satisfied customer. From our extremely knowledgeable staff and our emphatic customer service, to our unbeatable low prices and extensive product selection, ZoZo Music is absolutely sure to please! Returnable within 30 days of delivery. If you are not completely satisfied with your purchase, you may return the merchandise within 30 days for a full refund of the merchandise price, less our shipping costs. Please note, not all merchandise is returnable. Please ask if you're unsure. * Shipping and handling charges are non-refundable. If you received free shipping, the actual shipping cost incurred by ZoZo Music will be deducted from your refund. * Return shipping costs are the customer's responsibility. * We will not accept COD deliveries. These will be refused and sent back without notice. * A copy of the sales receipt or packing slip must accompany all returns. * Merchandise must be returned in the complete and original condition with all included packaging, parts, documentation and accessories (box, owner's manual, warranty cards, power supply, cables, etc.). * In the event that the order is refused upon delivery, returned due to an invalid shipping address, returned due to your unavailability to sign for the package, not returned in the original condition or with original packaging (including documentation, accessories, parts, etc), or is returned after the 30-day return period, you may be subject to a minimum 20% restocking fee. Returns NOT Permitted: Due to legal and health restrictions, some Returns/Refunds are NOT permitted. These include returns for copyrighted materials and for items that cannot be properly cleaned or sanitized, as well as certain items removed from the original packaging (such as instrument strings). Items include but are not limited to: * Any item with saliva contact (harmonicas, reeds, recorders, mouthpieces, etc.). Harmonicas/Kazoos, Mouthpieces, Microphones, open boxes of reeds, jaw harps, or guitar strings, any other item which cannot be properly sanitized. * Opened Software, Pre-Recorded Media, Videos, Sheet Music. Defective Copyrighted materials may only be exchanged for the same item/title. * Special Order Merchandise, all merchandise sold "as is", Merchandise sold as "used" or "open box". * Instrument strings are not returnable and non-refundable if the package has been opened. We will NOT accept returns of opened packages of instrument strings. If you break a string, you will need to contact the manufacturer in order to get a replacement. A broken string is not considered to be a "defective" product and/or "not as advertised". * Electronic and acoustic drum sets, and any percussion instruments with scuffs/markings from being struck are non-returnable. * Disposable products cannot be returned once opened. This includes cleaning supplies, care products, and rosin; Personal Care; Headphones/Earphones, Earbuds, Ear plugs, Special Order items, where indicated. * Certain items must be exchanged directly through the manufacturer if they are found to be defective. This includes tubes, instrument strings, pickups, raw frame speakers, drum heads, drumsticks, cymbals, cowbells, harmonicas, jaw haps and recorders. These items can only be returned to us if they are unopened.